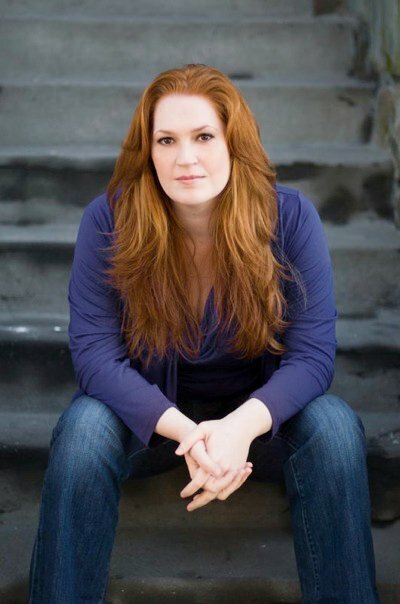 Katie has been seen as Rhetta Cup in New York City Center’s “Pump Boys & Dinettes”, The Witch in the Oriental Theatre’s “Big Fish” in Chicago, and Vashti Hake in “Giant” at The Public Theatre in NYC. In addition to her work as an actress, Katie’s original music has been featured on “So You Think You Can Dance” America, Canada, and the U.K. Her first musical “R.R.R.E.D. a Secret Musical” was nominated for 3 LA Weekly Ovation Awards, before debuting in New York at the New York Musical Festival (NYMF). Katie has been featured in Playbill’s “The Contemporary Musical Theater Songwriter’s You Should Know”, and “It’s Revving Up –The Next Generation of Female Songwriters…” columns, and in Lincoln Center’s “New Contemporary Songbook” series featuring her work from “R.R.R.E.D…”, her new work in progress “Haunted”, as well as her original pop music. In addition to her solo albums: “Private Page”, “KT LIVE”, and “What I’ve Done Right”, she is featured on several contemporary composer’s albums including: “Dreaming Wide Awake” by Scott Alan, “Here for You” by Jonathan Reid Gealt, and “Our First Mistake” by Kerrigan & Lowdermilk. Her favorite experiences include playing cards in the green room at The Public Theatre in New York, and singing for First Lady Michelle Obama. For a complete discography visit her MUSIC page! THEATRE:: “Pump Boys & Dinettes” (Rhetta Cup, NY City Center, Directed by Lear DeBessonet), “Giant” by Michael John LaChiusa (Vashti, The Public Theatre, Directed by Michael Greif), “Spider Musical” by Randi Blair (Nana June/The Spider, The Mint Theatre), “Cloaked” by Danny Larsen (Janice, CAP21). Regional: “Big Fish” by Andrew Lippa (The Witch, Oriental Theatre Chicago, Directed by Susan Stroman), “Giant” by Michael John LaChiusa (Vashti, The Signature Theatre D.C. & Dallas Theatre Center), “Tarzan” by Phil Collins (Kala, The Muny St. Louis, Directed by John Tartaglia), "Gypsy" by Julie Styne & Steven Sondeim (Mazeppa, The Maltz Jupiter Theatre, Directed by Marcia Milgrim Dodge), "Newsies" by Harvey Firstein & Alan Menken (Medda, The Arts Center of Coastal Carolina, Directed by Mark Martino. Workshops/Readings: “Waitress” by Sara Barilles, Directed by Diane Paulus. “String” by Adam Gwon, Directed by Marc Bruni. “Her Lightness” by David Lefort Nugent, Directed by Jackson Gay. “Millions” by Adam Guettel, “Piece/Home” by Scott Alan, and “We Foxes” by Ryan Scott Oliver. FILM & TV: "30 Rock" (Stage Mom; Episode "Baby, What's Wrong? "), "High Maintenence" (Shioban, Episode 101 HBO). EVENTS: The Public Sings (Joe's Pub), Welcome to the White House (Washington D.C), Broadway in South Africa (Gershwin), Defying Inequality (Gershwin), Gypsy of The Year (New Amsterdam), KT is Stayin’ Alive (Tavern on the Green), Katie & Friends (Birdland), Ryan Scott Oliver’s “35mm” (54 Below), The 2013 Drama Desk Awards (Town Hall), Eden Espinosa’s “Me” (Joe’s Pub), KT’s Christmas with a K (54 Below), Kate Baldwin’s "Sing Pretty, Don’t Fall Down" (54 Below). Discography: “Giant” by Michael John LaChiusa (Original Cast Recording), “R.R.R.E.D a Secret Musical” by Katie Thompson (Original Cast Recording), “The Forgotten Carols Anniversary Edition” by Michael McLean (Original Cast Recording), Scott Alan's "Dreaming Wide Awake" (Say Goodbye), Bobby Cronin's "Reach the Sky" (The Best is Yet to Come), Kerrigan & Lowdermilk's "Our First Mistake" (Five & a Half Minutes), Joey Contreras' "Love Me, Love Me Not" (With Him), Jonathan Reid Gealt's "Here for You: Ballads for Broadway Impact" (No Reason at All). Solo Albums: Private Page (2011), KT LIVE (2005), What I've Done Right (2001).